Only Celebrity Xpedition® offers the perfect combination of explorer's voyage and cosmopolitan bliss. Stylish detail meets intimate ambiance. 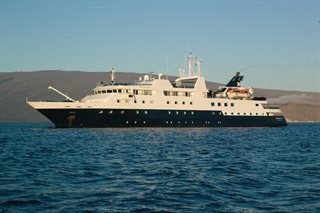 An adventuresome alternative, Celebrity Xpedition accommodates 92 guests. Step aboard and become part of an ardent community of travelers. Experience the untamed wilderness from a ship that offers unexpected indulgences. Take comfort knowing its environmentally sound design helps preserve the pristine islands it explores. It's a journey like no other.